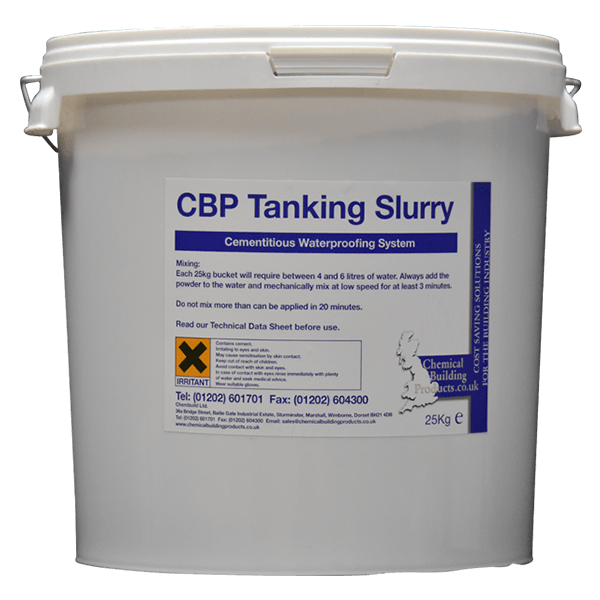 CBP Tanking Slurry 25KG | ChemBuild Ltd. This unique cementitious tanking slurry can be used below ground where water pressure is encountered within building structures such as cellars, bunds and other below ground areas. SPECIAL OFFER – BUY 2 GET 1 FREE – 1 EXTRA BUCKET WILL AUTOMATICALLY BE ADDED TO YOUR DELIVERY UPON DESPATCH FOR EVERY 2 TANKING SLURRY ORDERED. FOR CLARIFICATION RING 01202 601701. CBP Tanking Slurry can be used below ground where water pressure is encountered within building structures. This makes CBP Tanking Slurry the ideal solution for cellars, basements, storage bunds and other below ground areas. CBP Tanking Slurry is a premixed formulation of plastic modified hydraulically setting powder. When mixed with water and SBR Bonding Agent, CBP Tanking Slurry can be applied to a masonry substrate to form a monolithic bond. This bond blocks the passage of water as well as becoming an integral part of the structure itself. 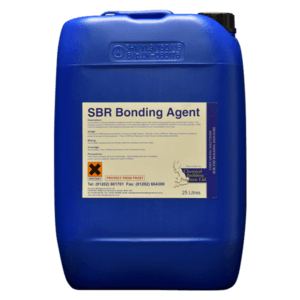 CBP SBR Bonding Agent should be used as a primer between coats and diluted 3:1 in the gauging water. This creates a structural waterproofing system. This system is commonly referred to as tanking within the industry. 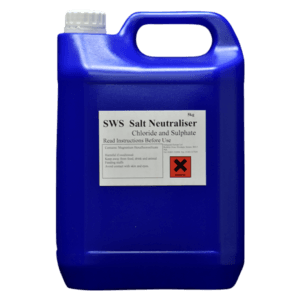 In certain circumstances, where there is evidence of Salt infestation in the area, we recommend the use of Salt Neutralisers. 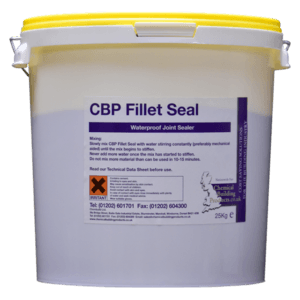 Fillet Seal and Rapid Setting Plug are available for pressure areas where the wall meets the floor and where there is running or weeping water. Contact our technical department on 01202 601701 for further information and download our comprehensive Structural Waterproofing Application Information below. Where our product is specified we will write a bespoke specification and offer full technical support throughout the contract.